I didn’t realise how long its been since I last updated the blog. I really should try and update it more often! Pics below are for the latest one of my builds. This is the Rock section of the Catalinbread DLS on a PCB I did with switchable treble bleed caps. Sounds good, just like my Catalinbread DLS. I freekin love this circuit; I will have to try and upload some soundclips ASAP. The paint is ‘vintage/old’ hammerite for that paint ‘mojo’ 😉 . It absolutely stinks so god knows chemicals are in it! I really like the way this one came out. I used my 3PDT boards again as well. They are coming in very handy. 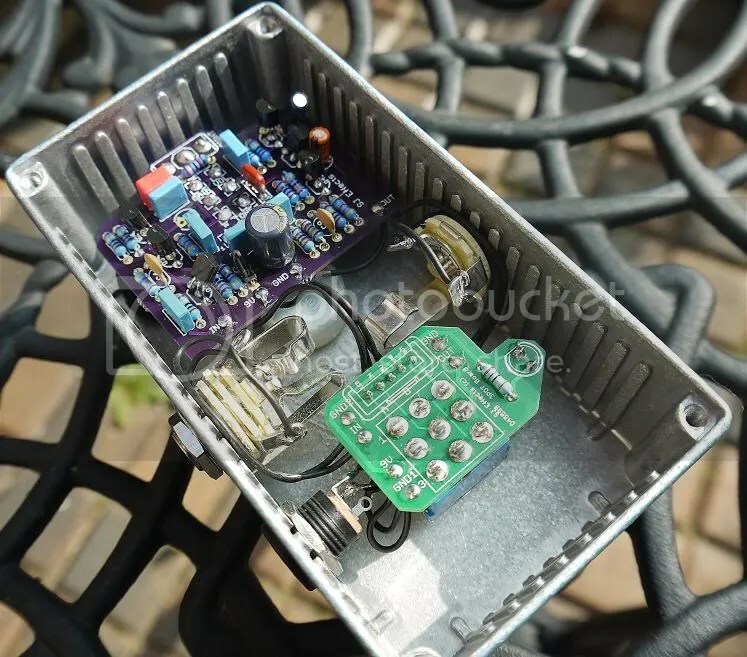 The 3PDT PCB’s and connectors have also allowed me to build a new ‘test’ pedal that I can use to check new circuits/designs out etc easily. 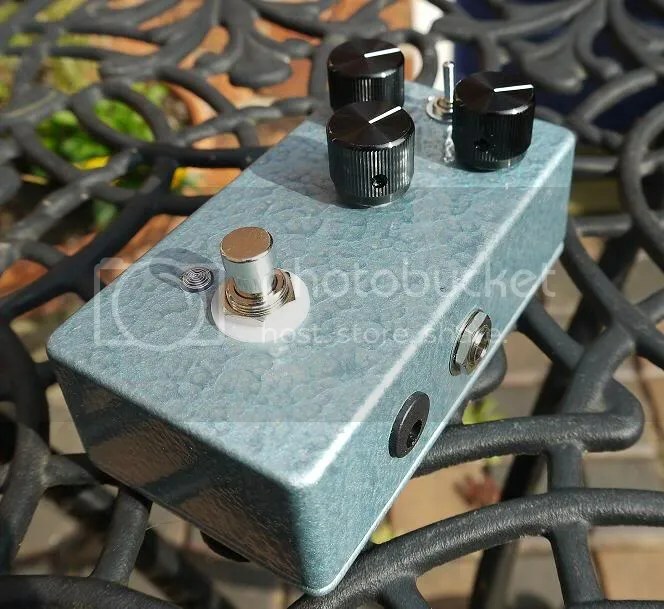 I have used Aluminium knobs on this build which I really like; I may use them again in the future.